Chemo, radiation, surgery. Our bodies feel like they’ve been put through enough. But for the large number of women with hormone receptor positive breast cancer, it is often recommended to take hormone therapy for 5 to 10 years which comes with its own set of challenges, most notably early menopause. Now that I’ve been on hormone therapy for almost one year, I wanted to share an open and honest blog post about my experiences going through it and the side effects that I continue to navigate my way through. So, what is hormone therapy? Hormone therapy involves taking medication to reduce the amount of estrogen in the body and block its action by starving the cancer cells of its source. The pros? Reducing the risk of recurrence in early stage breast cancer up to a third. The cons? Being put into menopause much sooner than anticipated and dealing with the long list of side effects that go along with it. He recommended that I look at the SOFT and TEXT trials to make an informed decision on what worked best for me. The trials found that the combination of taking an AI with an ovarian suppressor had significant benefits for high risk pre-menopausal women over taking Tamoxifen with an ovarian suppressor. Based on the studies, I decided to go with the option of taking an AI and ovarian suppressor which my oncologist felt would be the most beneficial in my case as well. 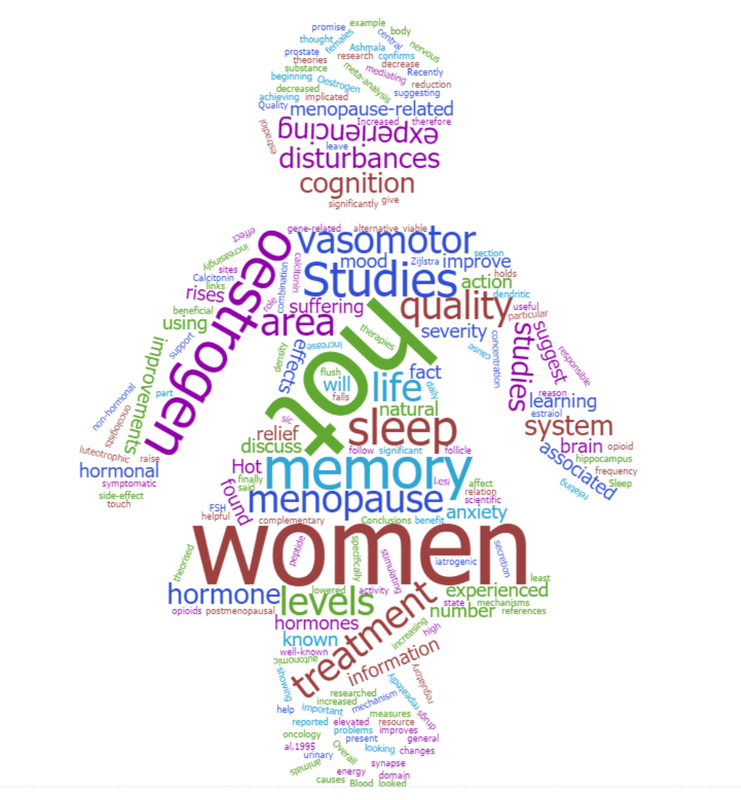 AIs are typically only used in post menopausal women but can be given to premenopausal women if combined with an ovarian suppressor. So, I was given my first Zoladex injection one month prior to starting on an AI called Exemestane to shut down my ovaries and put me into a chemically induced menopause for the next 5+ years. ***Update: According to new long term results (see link), the data now shows that the benefits aren’t nearly as great as once thought. While the AI + ovarian suppressor combo has a better DFS (disease free recurrence rate), the new results show it has the same OS (overall survival rate) as taking Tamoxifen with an ovarian suppressor. 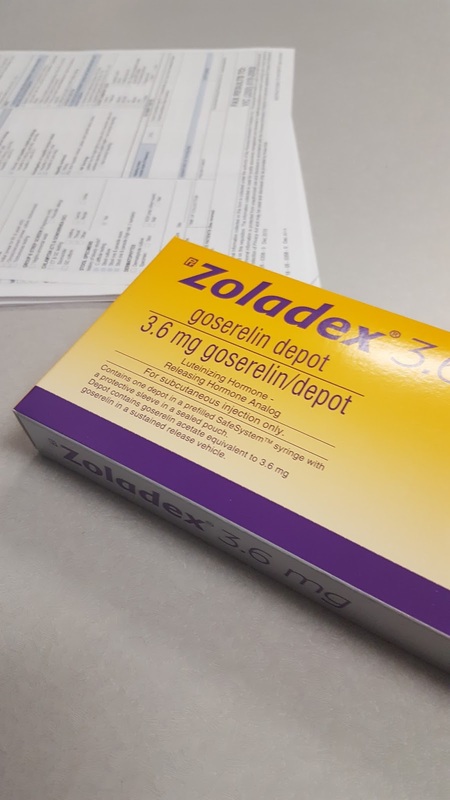 The Zoladex injection is administered subcutaneously every 28 days and comes as a preloaded syringe containing a slow release tablet of goserelin acetate. My GP Oncologist administers the injection every 4 weeks and uses a topical anesthetic spray called Pain Ease to numb the injection site. The downside is it only freezes the top layer of skin so I still feel a poke from the needle once it’s inserted (it’s a doozy at 16 gauge). Thankfully my doctor is quick with the draw and she’s done before I even have a chance to think about it. 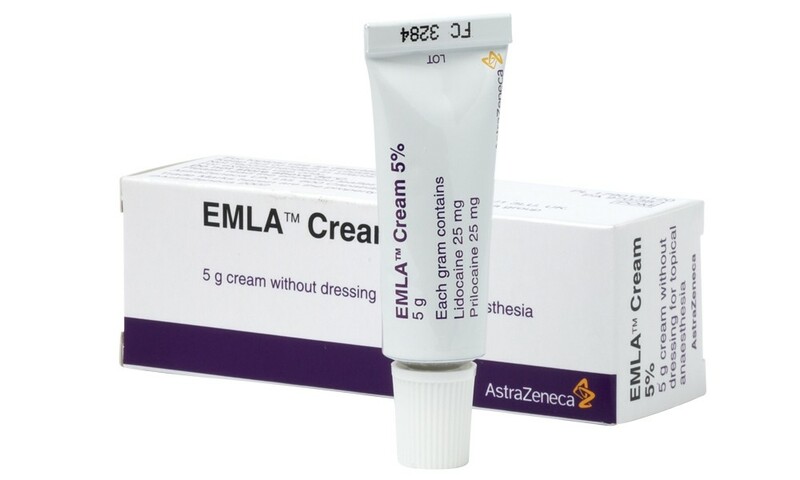 I’ve also been hearing a lot about Emla cream, an over the counter topical numbing cream, which can be found in some local drugstores and is definitely worth checking out. I’m normally one of those people who are cold 24/7 and cozied up on the couch wrapped in a blanket. Once the hot flashes arise though, it feels like my body goes from 0 to 100 degrees in about 2 seconds flat leaving me red faced and agitated. I’ve learned the art of layering and having a fan on me at all times especially at night. 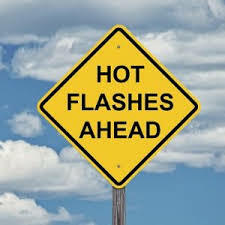 The hot flashes seem to flare up most often when I get stressed out or anxious which leads me to the next side effect. I never knew what anxiety or panic attacks were until recently. The feeling of agitation in my body where I don’t know what to do with my hands or feet. 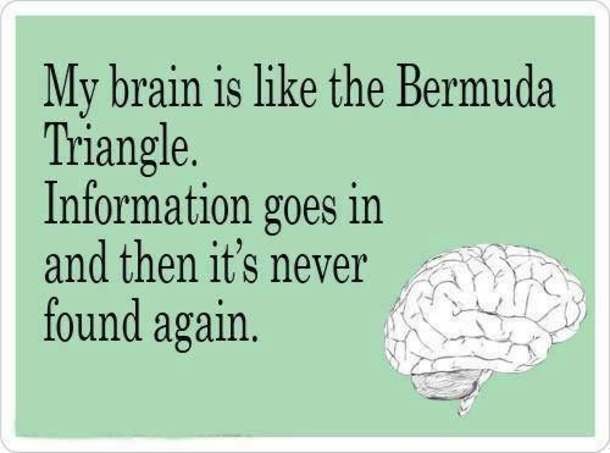 Or the shortness of breath and overwhelming thoughts. It pops up when I least expect it: driving to the store, having dinner with my family, or as I lie in bed at night. 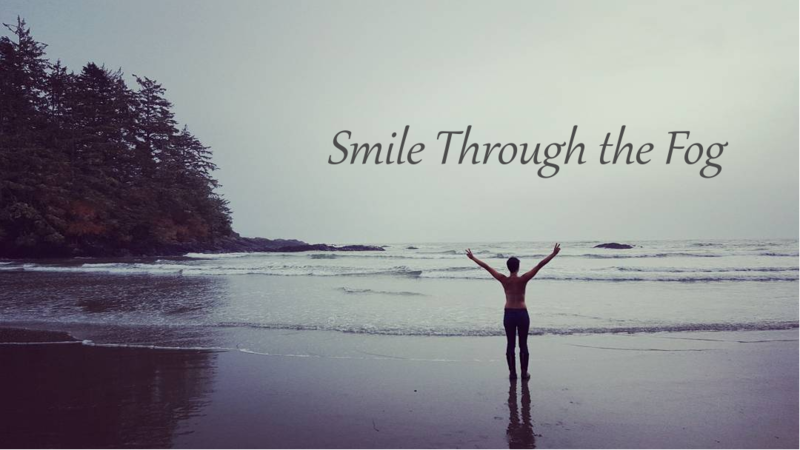 I’m trying to incorporate more relaxation techniques like yoga and breathing exercises to quiet the noise but it is a work in progress. Even as I sit here and try to think of the words to say, it doesn’t flow as easily as it once did. My brain feels foggy and I get incredibly frustrated with myself at times. I wonder if people think I am listening when I ask them the same thing over but it is more frustrating for me than them because I wish I could retain and recollect the information. Full disclosure here. I’ve always had some difficulty with sleeping but never to this extent for this long. I can’t count the amount of times I’ve watched the sun rise, blogged until the wee hours of the morning, and crawled into bed at 6am after finally pushing my body to the point of exhaustion. I’ve tried melatonin, magnesium, meditation, good sleep hygiene, you name it. I hate to take sleeping pills but getting a restful night of sleep is much better to me than not sleeping at all. But there is nothing more I crave than a pure restful night of sleep not induced by medication. As I lie down in bed at night, I can feel the deep ache in my upper legs. It feels similar to the achiness from the Paclitaxel I was on during chemo and then sits subtly through the day until night falls again. When I wake in the morning, my hands and fingers feel like they need to be carefully stretched so as not to break. Sometimes I wonder if I sound like an old 80 year old woman complaining about her aches and pains. Just get me a bottle of WD40 to lubricate my joints! Some of the things I’ve found helpful though are soaking in Epsom salts to relax the joints and walking and yoga to keep things moving. Prior to starting Exemestane, my oncologist ordered a bone density scan to check how healthy my bones were and to see if I was at risk for osteoporosis. While AIs are less likely to cause blood clots than Tamoxifen, they have a much higher rate of bone loss and fractures. Seven months after starting Exemestane, I noticed my right thumb joint was extremely sore and painful and I could barely manage to lift the water jug from the fridge. The first thought that went through my head was cancer but an x-ray confirmed that I had developed arthritis in my thumb (and possibly the rest of my hand), likely from the medication I was on. Right now I am taking calcium and vitamin D to maintain my bone health, but my oncologist has also recently recommended starting on a bisphosphonate in the near future called Zoledronic acid to strengthen my bones. I’m still on the fence about it though as it has its own set of side effects that are not to be taken lightly. There are times when I wonder, is this all worth it? Do I continue through these next 5 or 10 years experiencing this myriad of side effects? But it is also feels like I am blanketed with this security and hope that the medication will reduce my risk of recurrence. How do you all deal with the side effects of hormone therapy?